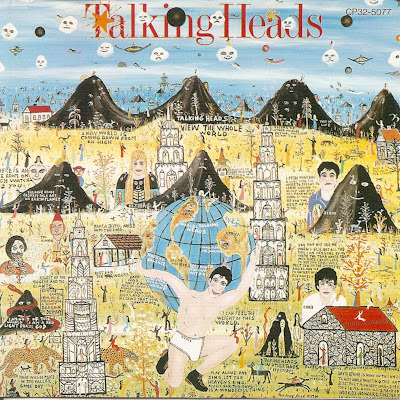 Talking Heads were an American New Wave band formed in 1974 in New York City and active until 1991. 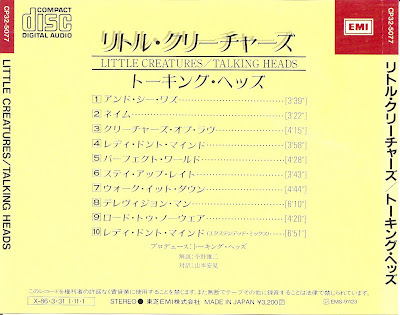 The band comprised David Byrne, Chris Frantz, Tina Weymouth and Jerry Harrison. 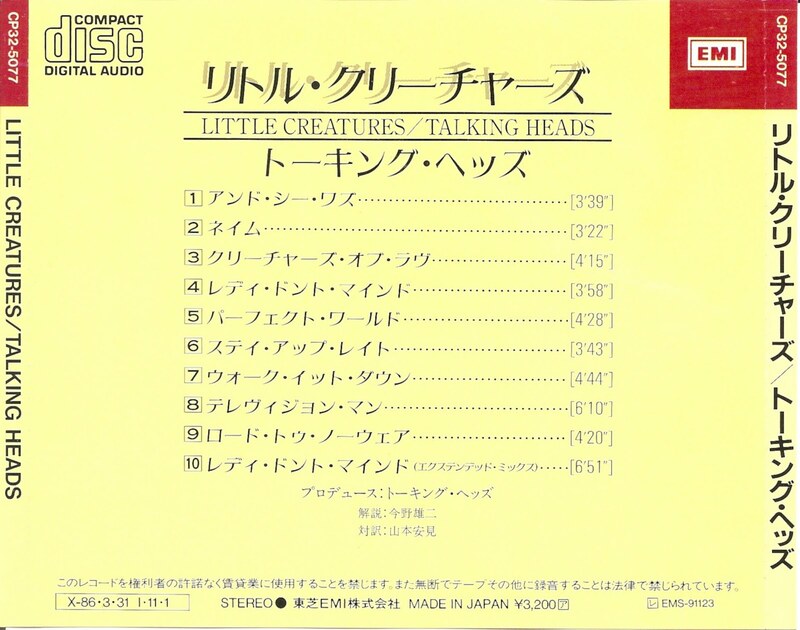 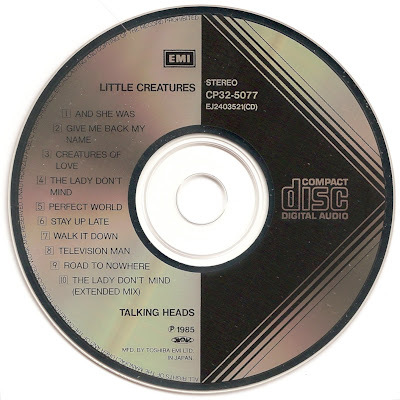 Little Creatures is the sixth album by Talking Heads, released in 1985. 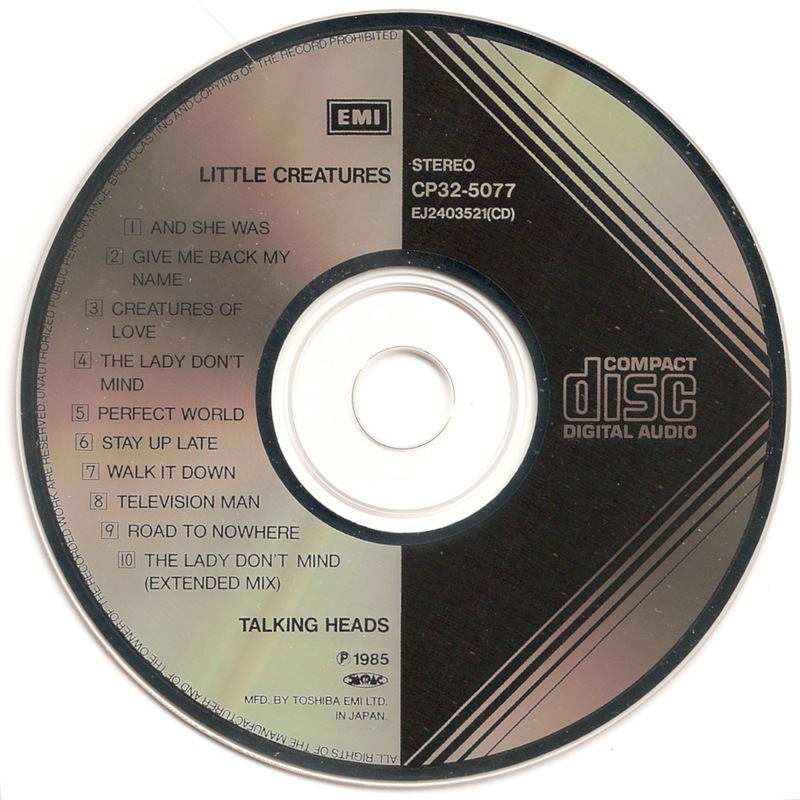 The album examined themes of Americana and incorporated elements of country music, with many songs featuring the steel guitar. 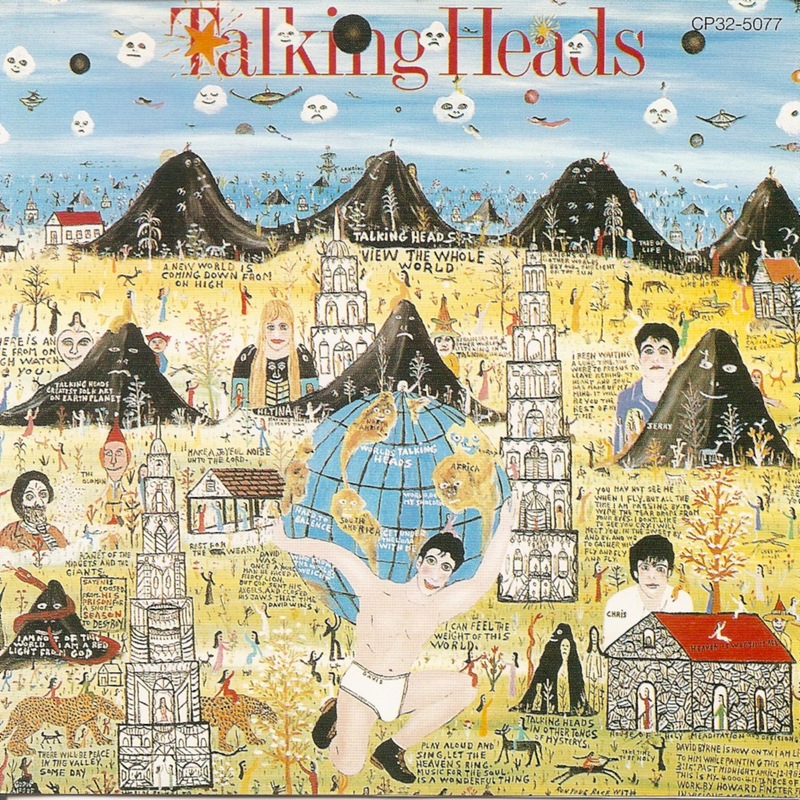 It was voted as the best album of the year (1985) in The Village Voice Pazz & Jop critics poll.